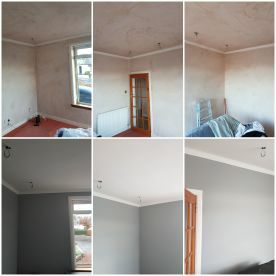 If you're looking for a reliable painter in Glasgow to help get your home looking good as new once again, look no further. 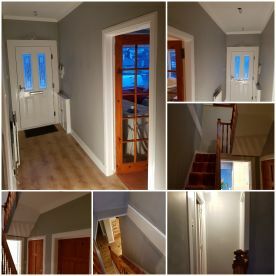 We use the highest quality equipment and our quick, professional approach means you can expect a perfect finish every time, in no time at all. 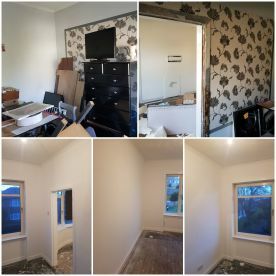 We can paint one room, or a whole house - we're also able to paint woodwork, brickwork, plaster, exteriors and also ames taping - all the an expertly high standard. 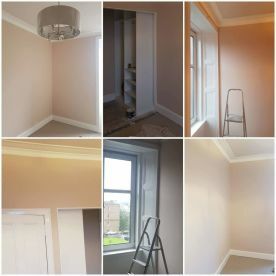 Whether it's a residential property or a commercial building in Glasgow, when you hire Crookston Decorators you hire an expert painter and decorator. 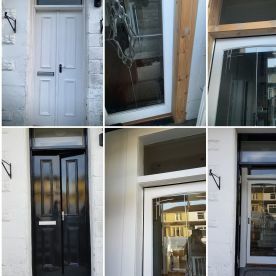 We offer an incredible service and a great finish at affordable prices. 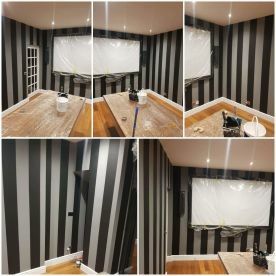 We specialise in painting, wallpapering, wood staining, exterior painting and ames taping. 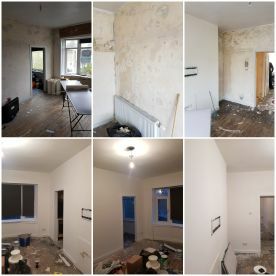 We pride ourselves on being reliable and hard-working, so whether you're looking for a quick lick of paint or a whole new look, why not call us at 07931429874 for a free quote today? 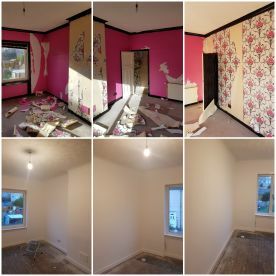 Professional job done in time scale given to complete job. Trustworthy, reliable and a great job done. 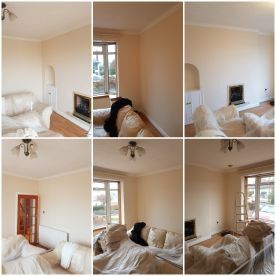 Please note that Crookston Decorators may not be able to honour booking requests made.